Introduced in 1953, the 40 Standard, 40 Tricycle (left), and 40C Crawler replaced the “M”, “MT”, and “MC”. 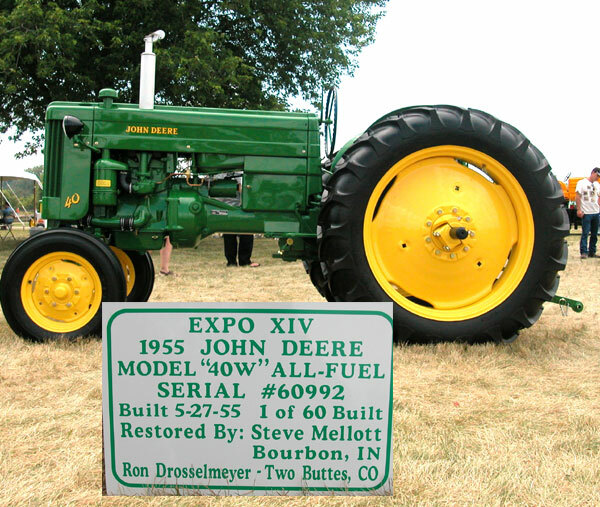 The 40 Series Tractors were Dubuque-built, smaller brothers of the 50, 60 and 70. 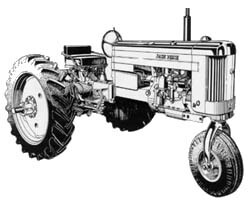 Family resemblance was most evident in the styling, but, as the advertising of the day said, “the resemblance is more than skin deep.”Features similar to the larger Waterloo tractors included an improved 3-point hitch; “live” hydraulic power for easy raising, lowering; and precision setting of working equipment; and Touch-O-Matic, which allowed individual control of cultivator sections right and left. Popular features retained from the “M” Series included four forward speeds; adjustable wheel tread; power takeoff; and self-energizing, independent rear-wheel brakes for sure stops and short turns. 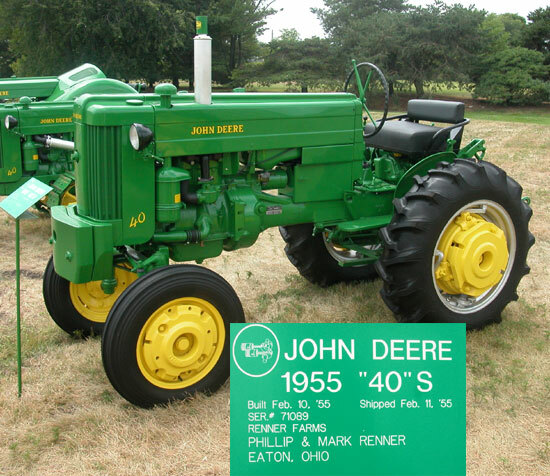 Compared with the discontinued “M” tractors, both the 40 Standard and 40 Tricycle tractors had larger fuel tanks and a new radiator grille with a deep-fluted, easy-to-clean screen ahead of the radiator. Servicing of the battery was made easier with a more practical design of the battery compartment. 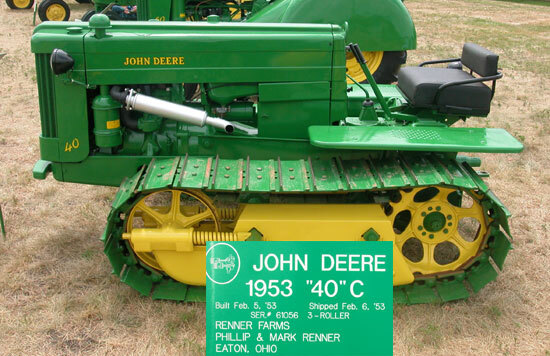 These tractors were also easier to mount and dismount and had an adjustable seat with coil-spring cushion. 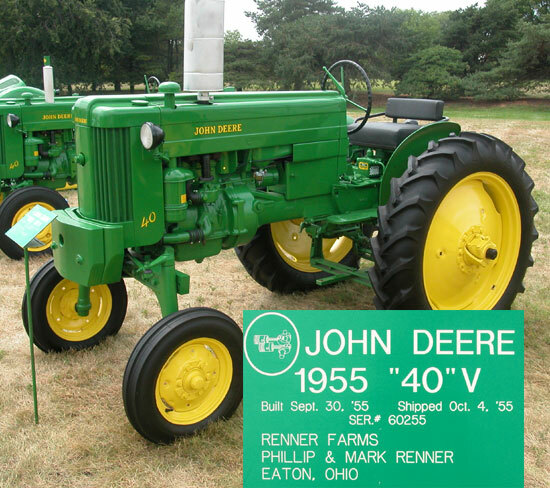 40 Series tractors also boasted approximately 15 percent more power than heir “M” Series predecessors. The 40 Tricycle model was rated at 17.16 drawbar hp and 21.45 belt hp.